By Dave (W5CWT) - I've been wanting to find ways to check my Winlink email other than having to use a Windows machine. 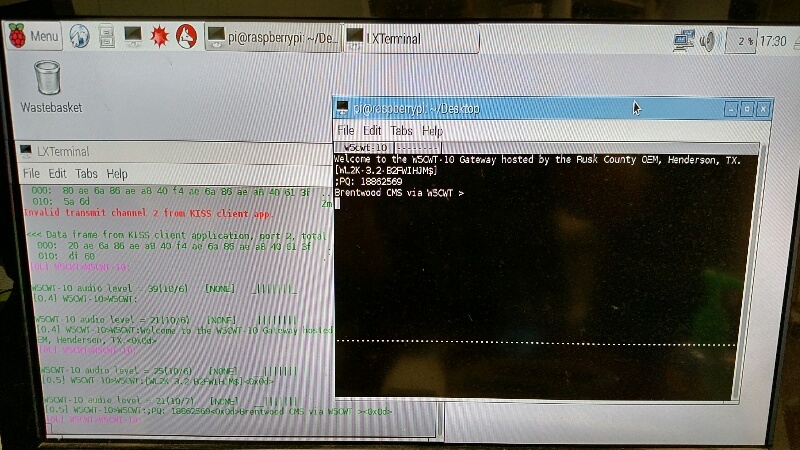 I dug out an extra Raspberry Pi and went to work with it. Surprisingly, the Direwolf soundcard program is so good these days that outperforms nearly every hardware TNC. (Here's a nice discussion on Direwolf.) And it's getting better all the time. It, combined with a Signalink (or other external soundcard), a radio and a power supply make up a great little digital station. This is not a plug and play system. It takes a little effort and tweaking to get it right. Every set of instructions I found assumed more than I knew, it took some time for me to piece it all together. But in the end, I could check my email without a Windows machine in sight! Here is my attempt to detail what I did.